Howard Charles Henriksen (April 11, 2018) | Burmeister-Johannsen Funeral Home, Inc.
Howard Charles Henriksen, son of Harry Charles and Stella Fredericka (Petersen) Henriksen, was born on November 2, 1924, in Marne, Iowa. He attended Harlan (Iowa) High School and graduated with the Class of 1942. Following graduation, Howard helped his father farm and was a farmhand for neighbors and friends. Howard served his country as a member of the United States Army from 1945-46; he was stationed in Occupied Japan. On November 28, 1948, Howard married Rhoda Irene Jessen at Our Savior Lutheran Church in Audubon, Iowa. The couple farmed in rural Shelby County, Iowa, until 1971, when they moved into Harlan. From 1965-1980, Howard drove cement trucks for Clark Redi-Mix in Harlan. He also drove truck for G.A. Findley in Harlan. Even after retirement, Howard remained active, selling Electrolux vacuum cleaners, delivering flowers for the Harlan Flower Shop, and delivering cars for Nelson Auto Sales. Howard was a lifelong member of Bethlehem Lutheran Church in Jacksonville, Iowa. He enjoyed membership in the Farm Bureau and Toastmasters. As a member of the Shelby County VFW Post #941, Howard served as Commander for two years, Vice-Commander for two years, and Chaplain for two years. He was a sports fan who especially liked cheering on the Dallas Cowboys, and also enjoyed watching local high school football. 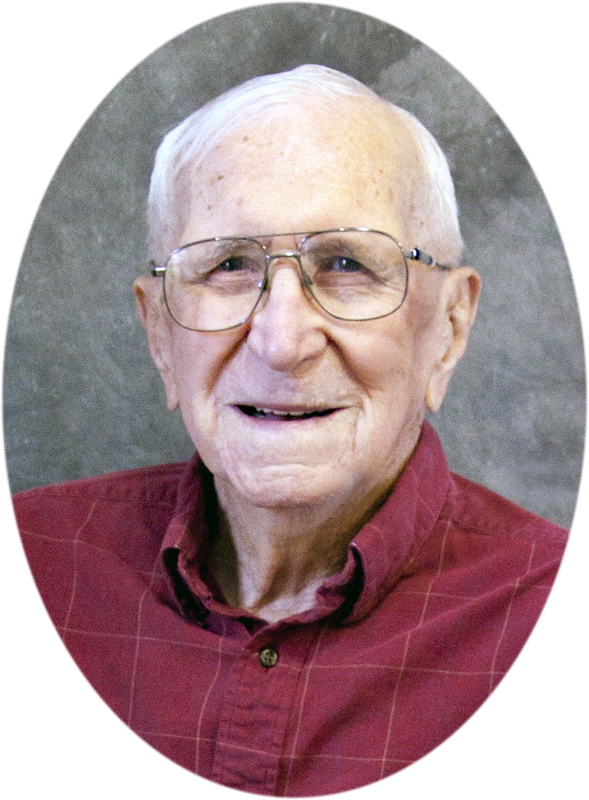 Howard C. Henriksen died on Wednesday, April 11, 2018, at Myrtue Medical Center in Harlan, Iowa. He had reached the age of 93 years, 5 months, and 9 days. Preceding Howard in death were his parents; two daughters, Peggy Jo Gragert and one in infancy; and one sister, Marjorie Richards. He is survived by his wife of 69 years, Rhoda Henriksen of Harlan, Iowa; two daughters, Bonnie (Kim) Fritz of Story City, Iowa, and Patricia (LaVern) Musich of Roosevelt, Utah; three sons, Ronald Henriksen of Harlan, Iowa, and Randy Henriksen and L. Charles (Molly) Henriksen, both of Urbandale, Iowa; 19 grandchildren; 40 great-grandchildren; and other relatives and friends. A memorial service celebrating the lives of Howard and his daughter, Peggy, will held at 2:00 PM on Saturday, May 26, 2018, at Bethlehem Lutheran Church in Jacksonville, Iowa, with Pastor Ron Rasmussen officiating. Peggy Doonan will serve as the organist. Howard donated his body to the Anatomical Board of the State of Nebraska, and inurnment will be held at a future date in the Jacksonville Cemetery, Jacksonville, Iowa. The Burmeister-Johannsen Funeral Home in Harlan, Iowa, is in charge of the arrangements. Condolences may be left online at www.burmeisterjohannsen.com. I was surprised to hear of Howard’s passing. I enjoyed working with him at Clark Redi Mix. It was always enjoyable to visit with him. My heart goes out to you, Rhoda, and all of the family. We were friends and neighbors for many years in Harlan and will always have our fun memories. Much love being sent your way. What a wonderful man. I first met him at The Community Kitchen and he was always a favorite of mine when he came in. Will miss his smile and hugs.